A few months back, I had the pleasure of creating this poster – in conjunction with the Kent State Geological Society – for the Department of Geology at Kent State University. The poster was created for use at an upcoming event and would afterward be hung in the hallways of the Department and used at future events. The poster was to showcase photographs of geology students on many of the Department-led field trips. 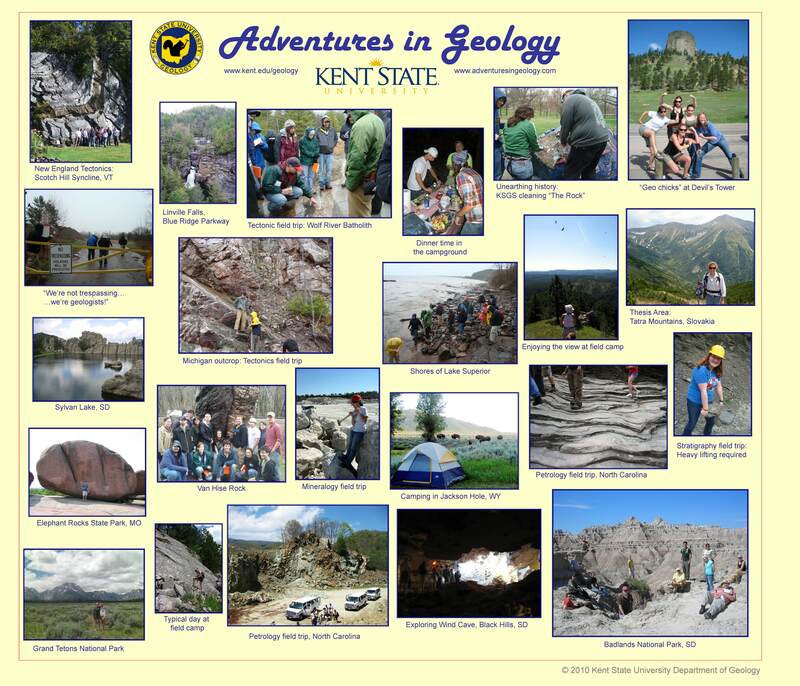 Coincidentally, KSGS indicated they would like to title the poster “Adventures in Geology“. I jumped at the opportunity to shamelessly suggest adding the address to my website of the same name to the poster – they agreed! So here you have it. I will say that the image is much better viewed by zooming in to see the captions below pictures. If you have any questions or comments about any of the pictures, feel free to ask by commenting below or using the contact page. I only took a few of the pictures myself, but have visited almost all of the locations featured. ← Got Gas? Ohio Does!